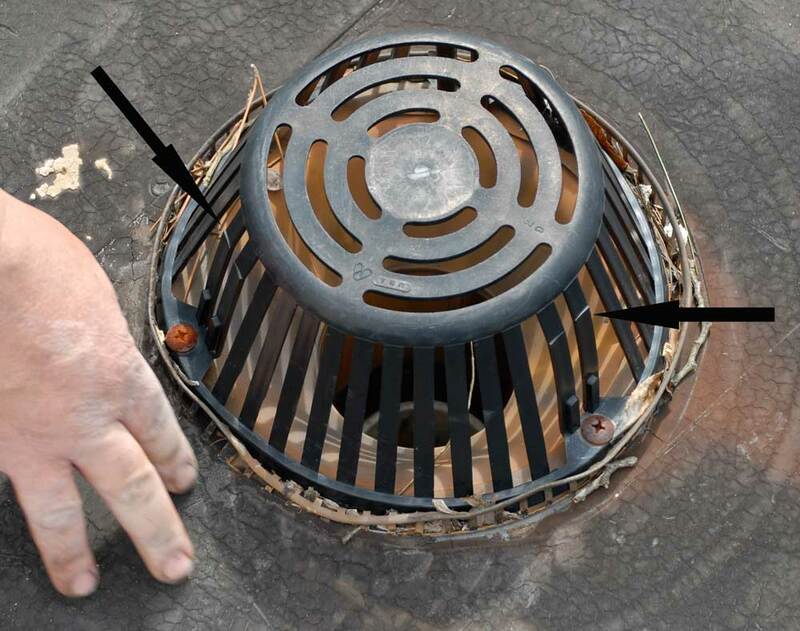 If appropriately designed, a strainer is supposed to keep larger objects from going down a drain, while allowing smaller debris through with the water flow. 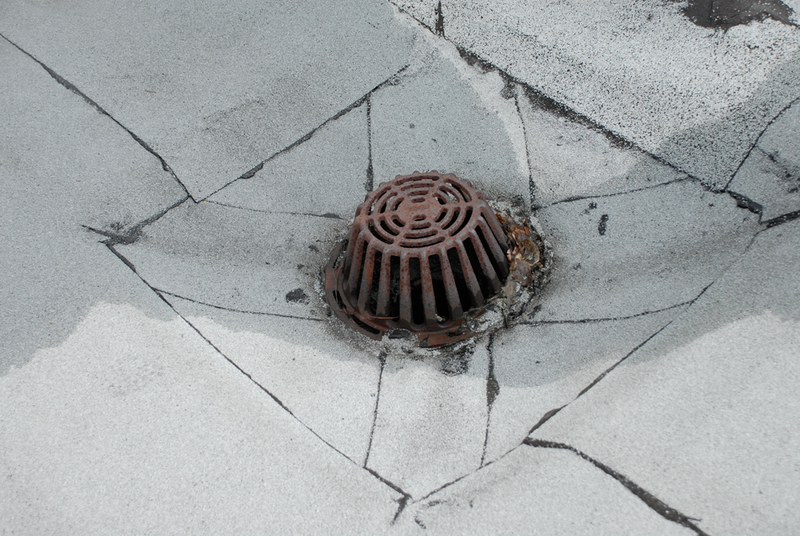 Most strainers, or domes, that cover a drain on flat roofs, are poorly designed because they block smaller debris and the strainer becomes clogged, preventing any water flow. Twigs, sea shells, and rocks should not be able to get through strainer holes or slots. 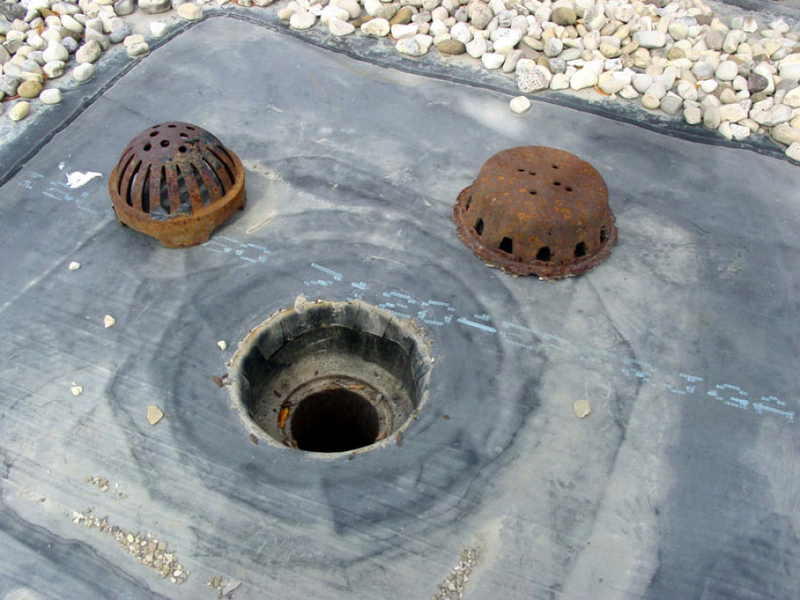 These types of objects will cause blockage in drain pipes. 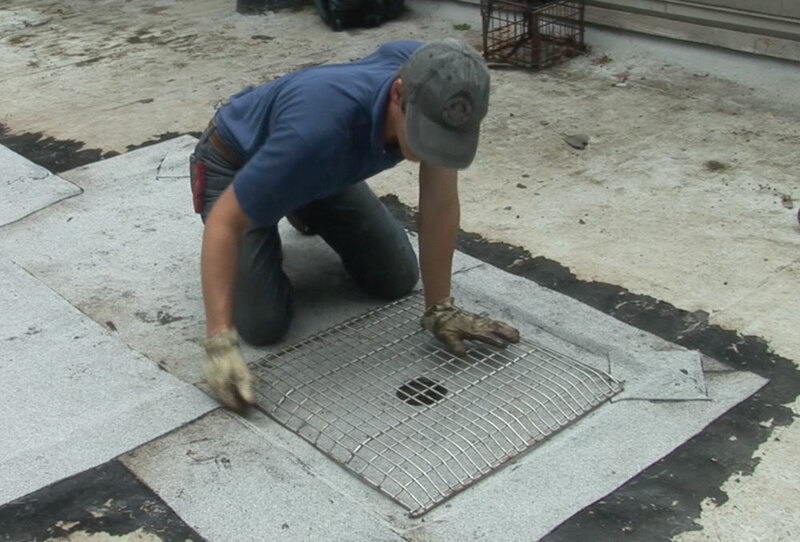 The video above shows how to correct the position of a drain and its strainer to prevent ponding. 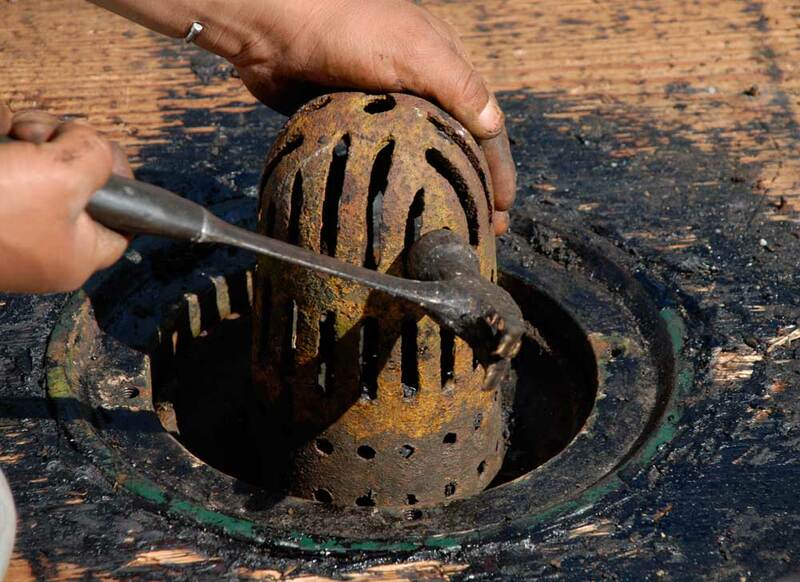 As you have read, a strainer, is an important part of a drain system. If well-designed, it will require only minimal regular maintenance. It is a combination of sloping a roof and the installation of a drain basin that will give the best flat roof drainage performance to last for decades.